Stuff the Bus is held each year to provide donations to area food pantries. Western Illinois University is committed to social responsibility. It is our mission, following a long-standing tradition, to help and to serve our communities. Our students, faculty, and staff provide countless hours and resources to organizations, schools, and nonprofits in McDonough County, Rock Island County, and beyond, demonstrating that the people of Western Illinois University deeply care for others. There are numerous options for our students, faculty, and staff to contribute to WIU’s host city of Macomb and its surrounding communities through the volunteer branch of the Office of Student Activities (OSA). Such events as Make A Difference Day, which was recently held Oct. 22 and is sponsored by Western’s All Volunteer Effort (WAVE), provides students with the opportunity to volunteer in the community for a day of service. During Make A Difference Day, volunteers work at service sites within the community, ranging from environmentally focused to working with senior citizens to assisting with projects at nonprofits. The impact that Western Illinois University has on its community is often detailed in regard to a financial or economic effect. While the University certainly plays a large role in the region’s economy, Western also has a profound impact on the region through community service. During the 2015-16 academic year, 13 of 29 chapters within the fraternity/sorority community reported completing nearly 4,358 hours of service and donations accumulating over $30,000 to charities and philanthropic efforts. In addition to Make a Difference Day and National Volunteer Week, WAVE conducts weekly service projects and sponsors the annual Angel Tree project to collect holiday gifts for area children in need. Last year, our student-athletes completed 2,400 hours of community service, raised over $10,300 for local and national organizations, and donated 7,000 pounds of canned goods to the Western Illinois Regional Council food bank through the Summit League Food Fight competition. Our athletes also spend time in local classrooms, serving as positive role models to elementary school children. At our Quad Cities campus, students, faculty, and staff have volunteered to help numerous causes, including such activities as the WIU-QC Student Government Association working with Renew Moline to beautify the campus, the Supply Chain Management Student Association partnering with Boys and Girls Club and Habitat for Humanity, and the Student Recreation Association’s after-school program at Logan Elementary School in Moline. It is virtually impossible to list all of the outstanding contributions our students and employees make to their communities. From Beta Alpha Psi, Western’s accounting honorary, sponsoring an Angel Tree each year to provide gifts for foster children within a three county radius to the School of Agriculture providing agriculture-related activities/demonstrations to local schools to the more than 100 area school children tutored last year as part of the WIU-sponsored America Reads program to the Civil Service Employees Council’s annual food drive to the WIU-QC Student Services’ after-school STEM programs for minority and at-risk elementary school students, the University’s mission is to give back to others. It is with great pride that I was selected to lead such a caring and responsible university. I encourage our University community to continue to give to others in need. 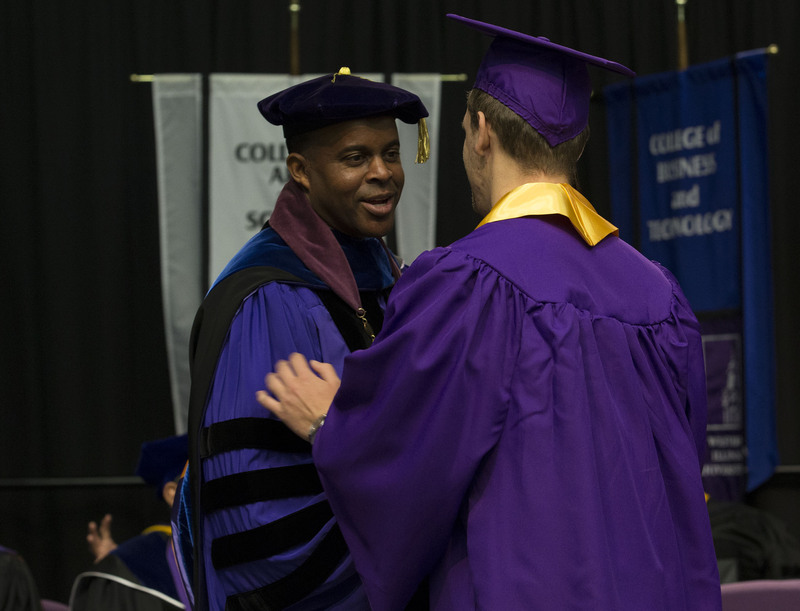 It is because of each of you that makes Western Illinois University a tremendous place. Thank you for all that you do to improve the world. Welcome to a new academic year at Western Illinois University! Last month, over 3,600 students moved into our residence halls, and on Monday, August 22, the Fall 2016 semester began for more than 10,300 students. One of the many highlights of move-in weekend is meeting our new students and their families. The energy, the excitement, and the happy faces are contagious and set the tone for the start of our school year. It is a busy day (and weekend), full of activities and being on the go for all of us, but it is also a rewarding time as we begin the initial steps in helping our students succeed. New Student Convocation remains a tradition during move-in day, and I thoroughly enjoy speaking to the newest members of our Leatherneck family. While this event is designed for the incoming class and their families, the advice imparted by many of our speakers bears repeating to our entire campus community. We talked a lot about success, civility, responsibility, and expectations. It may appear to be yet another “lecture,” one that our students have probably heard countless times from their parents and family members. However, those words that we share come from a place of caring and compassion. We want each person who sets foot on our University campuses to excel in his/her studies and in life. Because we are a close-knit University, we get to know so many of our students by name. We recognize them as they socialize and work in our communities. We see them walking to class, and doing tremendous work not only for our University, but also within our communities. We are proud of our students and excited for their future, and that is why we impart our wisdom to our new students on their first day at WIU. To our returning students, faculty, and staff (and even our alumni), I share with you those same words I share with our new students and their families. These small bits of advice are something we all should remember as we go through the years. 1. Make wise choices and good decisions. 2. Have respect for yourself and for others. 3. Take advantage of opportunities for intellectual and personal growth. 4. Do not let yourself down. 6. Do not be afraid to ask for help. 7. Strive to achieve greatness. 8. Live up to your full potential. 9. Get involved in your community. 10. Carry yourself with dignity. Navy students at Western in a communication class taught by Walter Eller. 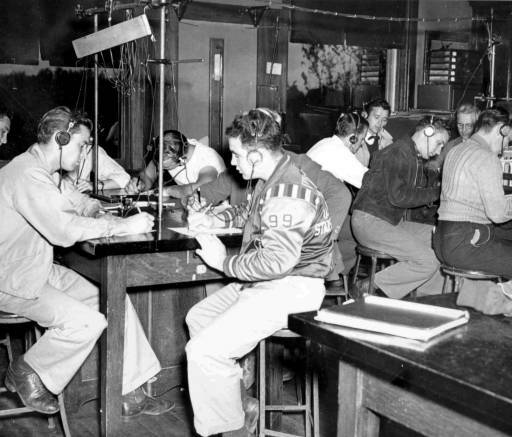 Photo courtesy of WIU Archives & Special Collections. From “First Century A Pictorial History of Western Illinois University. 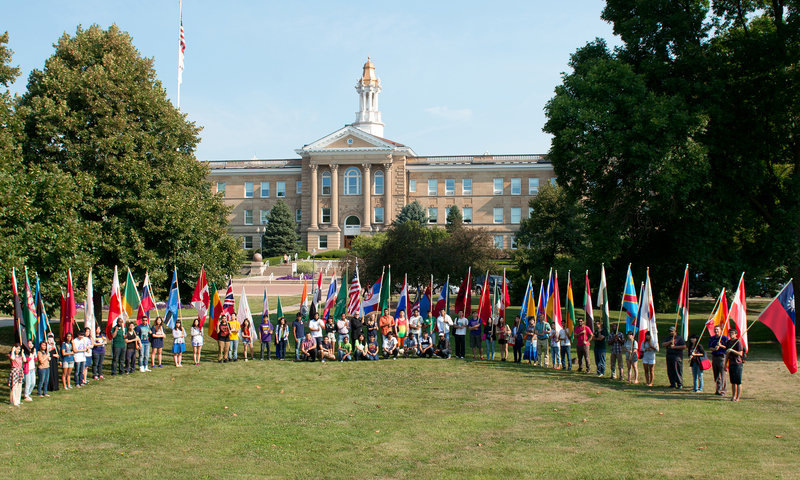 While returning veterans have always considered Western home, in 2009, veterans and current active duty personnel on our campus had a place to call their own at WIU. The Veterans Resource Center, formerly housed in the University Union, opened at the Wright House, adjacent to campus at 333 North Ward Street. The University’s Veterans Resource Center provides streamlined services and resources in a centralized location to ensure all veterans, guard members, reservists and active duty personnel receive individual assistance with any question or concern they may encounter. Dr. Ken Wright, a Blandinsville veterinarian, and his wife, Betty, generously donated his boyhood home on Ward Street, which was dedicated as the Wright House in November 2009. Unfortunately, Western has lost members of its family due to war. To honor our fallen soldiers, in 2012, the University sponsored the inaugural Fallen Soldiers 5k Run/Walk, which has since raised more than $46,000 for the WIU Fallen Soldier’s Scholarship Fund. While the race recognizes our fallen soldiers and all who have made sacrifices for our country, the event honors WIU alumni Capt. Derek Dobogai and Lt. Col. Robert Baldwin, who were killed in action in 2007 and 2010, respectively. This year’s race will be held Saturday, Oct. 10 on our Macomb campus. Even if you are not a runner, and no matter your speed as a walker, please register and support our student-veterans and honor all veterans who made the ultimate sacrifice serving their country. Registration information can be found at wiu.edu/fallensoldier. We are proud of our many service men and women, and we salute their courage and their fortitude. From Western’s beginnings to present day, veterans and active duty personnel have been a part of our campus. 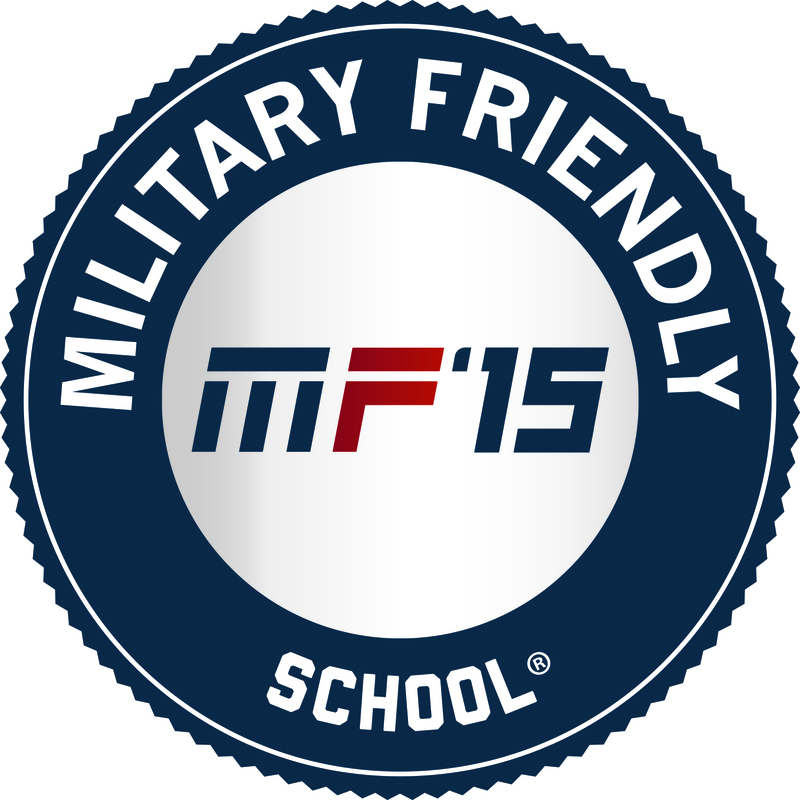 They certainly enhance our campus community with their experience, knowledge, patriotism and service. From school colors of purple and gold to the “Leatherneck” nickname, Western Illinois University is alive with spirit and traditions. Our school colors date back 113 years, to 1902, the opening year of what was then called the Western Illinois Normal School. A first-year student, Mary Jarvis, inspired by the surrounding “golden prairie” filled with purple coneflowers, suggested the color combination as part of a school-wide contest. The purple and gold ribbons can be found on her 1906 diploma, which is housed in the Leslie F. Malpass Library Archives. Ms. Jarvis was the first to see the power and pride in the purple and the gold. As I have told students at Commencement, those affiliated with Western have purple passion and gold grit. Purple is the color of good judgment and peace of mind. Gold is associated with higher ideas, wisdom, understanding, and enlightenment. It is the color of success, achievement, and triumph. Gold also represents generosity and giving. Students, faculty, staff, alumni, and friends of Western Illinois University represent that passion, that wisdom, that grit. 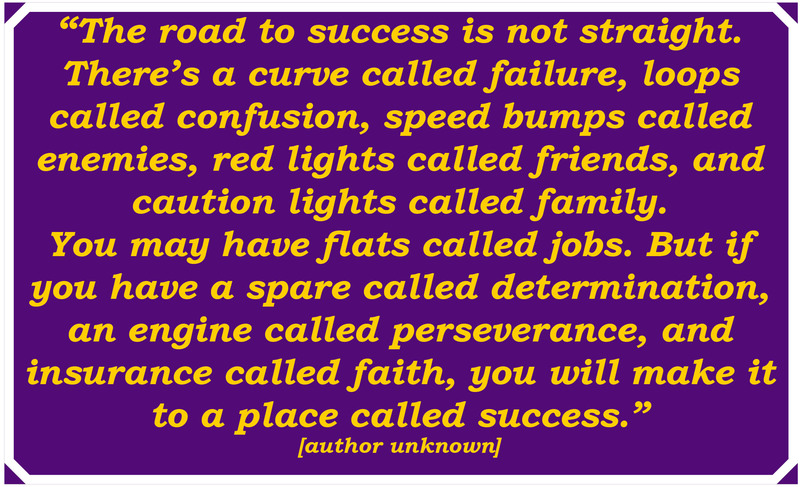 And no one represents “grit” better than a Leatherneck. We are so fortunate to be associated with this powerful nickname, and we have the late, longtime Coach and Athletic Director Ray “Rock” Hanson to thank for our nickname, “The Fighting Leathernecks.” Hanson, who served at WIU from 1926 to 1964, was a decorated Marine Corps colonel and a war hero. Because of his affiliation with the Marine Corps, Hanson was able to secure permission to use the nickname, “Leathernecks,” for Western Illinois University. Today, WIU remains the only public school allowed to use the “Leathernecks” nickname. Our mascot, Col. Rock III, aka “Rocky,” is named after that legendary coach and administrator. The first Rocky arrived on campus in 1958, followed by a succession of four-legged, and two-legged costumed, mascots. Our current mascot, Col. Rock III, joined the Western family in May 2015. Wearing the school colors with pride, singing the fight song loud and clear and recognizing such traditions as celebrating Purple and Gold Day every April 24 and Founders’ Day every Sept. 23 are part of what keeps our school spirit and traditions alive and going strong. To ensure the spirit continues, new freshmen are indoctrinated into WIU culture during move-in weekend with the “Leatherneck Legacy” program. A.) To some, it means sports, athletics, games, being outdoors, intramurals. B.) To others, it means you’ll open your mind to so many new things. The people who make it here will get connected and try new things. Join new clubs, make new friends, get connected. C.) Being a Leatherneck means being focused, having a focus. You didn’t come here for just any reason. You came to get a degree and to eventually have a career. You are here to do something special. D.) Being a Leatherneck is about fun. These will be the best four years if you let them be. But if you get too far into the fun, they can also be the worst four years. E.) And finally, being a Leatherneck is about being home. As we begin a new academic year, I ask our students, our faculty, and our staff to wear your school colors with pride. Get involved in campus activities and attend campus events. Be a true part of Western Illinois University. Embrace the traditions and the Leatherneck Legacy. It’s a great day to be a Leatherneck! In just a few short weeks, close to 2,000 Western Illinois University students will join the ranks of our 125,000 proud WIU alumni throughout the world. This is the moment so many students have been waiting for. Their college years are coming to a close, and their careers are about to begin. A few blog posts ago, I talked about careers and social media. It seems appropriate, as we approach Spring 2015 Commencement, that I touch upon some “real world” tips for new graduates. Career Development staff are available to provide assistance to students and alumni. First, if you have not yet visited WIU’s Career Development Center during your time at Western, now is the time to visit (and if you are a recent, or not-so-recent, graduate, you too can use the services offered at the center). Director Marty Kral and his staff are there to help provide guidance on further improving your résumé and cover letter, how to execute a successful job search, and so much more. I often talk about first impressions. Your résumé and cover letter are often that first impression. These documents, along with your qualifications, may determine if you move to the next stage in the interview process. Larissa Faw, a contributor for Forbes.com, rounded up a list of unconventional tips and words of wisdom for college graduates (http://www.forbes.com/sites/larissafaw/2013/05/16/unconventional-career-advice-for-college-graduates-2). As I read through the list, I saw myself not as a University president, or a professor, but as a father giving this same kind of advice to my two college-age sons. Ms. Faw, who writes about millennials and workplace trends, compiled this simple list, which provides outstanding advice. As an English professor, one piece of advice, “grammar counts,” certainly strikes a chord. We live in a digital age. We use our phones to communicate with family, friends, and colleagues. I may receive a text or an email from a student who uses “text lingo.” “U” for “you,” or “4” in place of “for.” As Ms. Law states, “executives look not only for proper grammar and sentence structure, but also for vocabulary and overall thinking processes.” Please, save the text lingo for texts to your friends. Proof every application, resume, and cover letter carefully. And Mears echoes the sentiment I shared in an earlier blog post, “clean up your social media profile. It’s the first thing prospective employers will look at. If you do not already have a LinkedIn profile, create one to highlight skills you have gained through your education, your volunteer work or any jobs you have had so far.” Network, and use your experiences in and out of the classroom to set yourself apart. CareerBuilder.com adds instead of posting your résumé on a website, take it one step further and design an easy-to-navigate site or online portfolio on which recruiters can view your work, learn more about you and your goals, and obtain contact information. The first job (or maybe even the second job) you take may not be your “dream job,” but do not be so quick to turn down something because you envision spending years at the company or organization. While you certainly should review your options and offers carefully, keep an open mind and realize that a job is an opportunity, a stepping stone, a foot in the door, a way to enhance your skills and to build references. That first position you take out of college should serve to make you a stronger, better, and more skilled employee…and you may end up loving the job, the organization, and all that the position offers. Finally, as you head out into the real world (or even if you have been in the real world for some time), always remember to treat co-workers, customers, supervisors, and others with respect and courtesy. When you leave an organization for a position elsewhere, leave on good terms, even if the job setting was not ideal or your co-workers or supervisors were difficult. Do not speak ill of your previous colleagues, mentors, or your former company. Do not burn your bridges. Remember, perspective employers may contact individuals who have taught, supervised, or mentored you – even if you have not listed these people as reference. I wish all of our new graduates the best of luck as they enter the workforce. Western Illinois University will always be here to help.